At GDC last year, Technical Director Junya Motomura of Arc System Works had talked about how they created the Artstyle of Guilty Gear Xrd. It's a very interesting video, and while it's purpose is for games, a lot of the techniques can be applied to 3D anime in general. 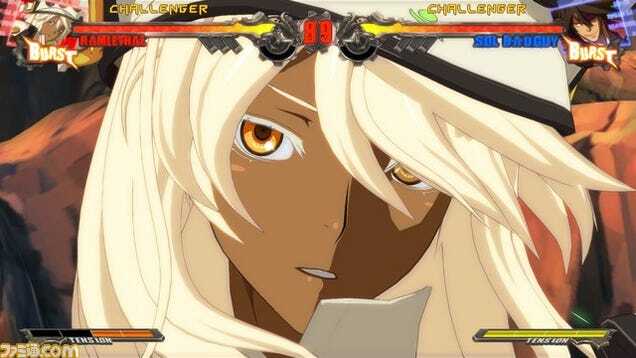 While the quality of photo-realistic real-time graphics in games is advancing daily to near feature-film quality, Arc System Works' RED team took a completely different approach with Guilty Gear Xrd in pursuit of an impressive art style that would stand out even in this competitive environment. The team's mission was to rebuild a classic 2D fighting game within a modern full-3D graphical framework, while maintaining all of its old-school 2D charms. In this GDC 2015 talk, technical artist Junya C Motomura will discuss the art and programming R&D, as well as all the artistic decisions, that lead to the award-winning results. You'll have a better understanding of this style. Not a lot (outside of game devs) saw this, which is why I'm sharing it here. I'm sure someone might be interested. As a companion video, after you've seen the GDC video, here's a framerate test from DigitalFoundry, which gives you some precise examples. I would love to discuss 3D anime on here, as I really don't think it's satan spawn as people make it out to be. There are some great examples of this. Of course, I'd never want it to replace 2D animation as a whole, but the results can be interesting. Often compared (and considered better) is the comparison between series like Appleseed and RWBY and what we have now in Anime, but those are going after two completely different concepts. Unlike Rwby and Appleseed, the point isn't to create "3DCG-Animation", but to recreate 2D Animation using 3DCG. Something you can see in works by Hiroyuki Seshita, where as soon fast movement is required, the framerate increases (not always, though) to keep the animation from not being unwatchable. It's usually also where any illusion of it being 2D completely breaks. All in all, with this technique, you could, in theory, create bigger and more detailed (or active) shots in the future, while not breaking the illusion. tl;dr We'll get there eventually. If you compare Blame! with just the first season of Knights of Sidonia; And most what came before, it's a stark improvement. as well as "The Garden of Sinners" film franchise, and other recent Ufotable works. Not all of these have good CG, but they all feature a very interesting implementation of it. I've tried keeping the list varied. 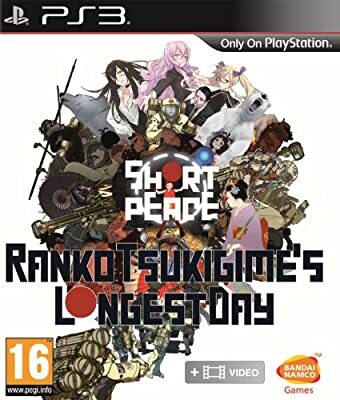 Also, if you have PS3, I'd recommend Short Peace: Ranko Tsukigimes Longest Day.